As part of my house revamp I'm trying to consider some interesting and clever storage ideas. We don't have room for anymore actual pieces of furniture but I'm sure there are better ways that we can utilise space for storage. 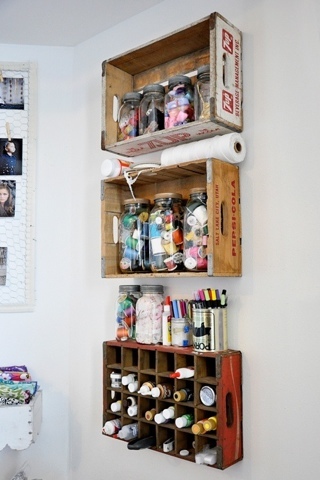 Here are some clever ideas I found on Pinterest which have got my brain in ticking mode! Now to have a look through the contents of the shed to see what I can rustle up!! 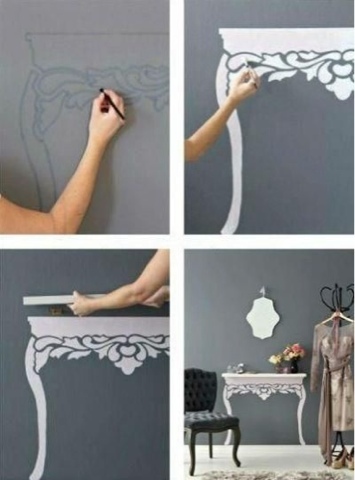 The shelf/table idea is adorable! I could totally make one of those for my entryway. 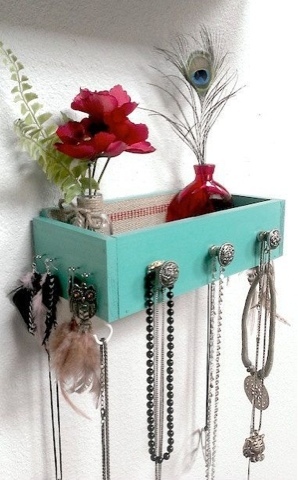 I also like the necklace holder. I'm always looking for new ways to organize my necklaces.